Looking for temporary self-storage or long-term storage rentals in Fairbanks? Our storage units are centrally located off of South Cushman Street just next to Bailey's Furniture. 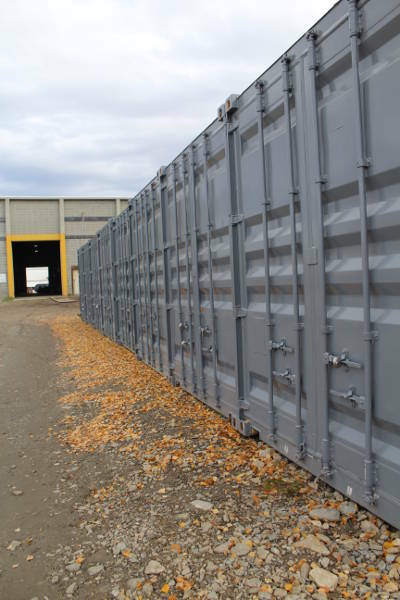 We offer small unheated storage units in our warehouse from $14 - $70 per month, full sized 40' x 8' connex containers for $150 a month and fenced vehicle storage for $40 a month. If you prefer to have a container off site, this service is available as well. Our vehicle storage offers plug-in services for the cold winter months for those of you who keep a vehicle handy in town! We're a straight shot down the Mitchell Expressway from the East Ramp of the Airport. Please don’t hesitate to call us for more info or to reserve your Fairbanks storage space today! Serving Fairbanks Alaska and surrounding communities with quality equipment rentals, party rentals, mini-storage rentals, small engine repair services and U-Haul truck rentals.